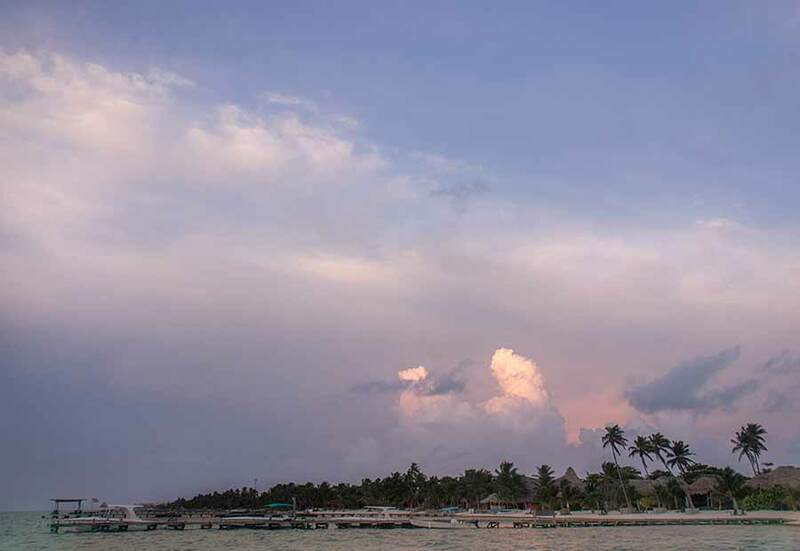 Belize NMS: Relatively moist and unstable conditions prevail over the area. 24-hour forecast: Sunny with cloudy spells today and cloudy at times tonight with a few showers and isolated thunderstorms mainly over the coast and south this morning and tonight, then mainly over inland and northern areas this afternoon. General Outlook: (Sunday and Sunday night) Cloudy spells with isolated showers and isolated thunderstorms, increasing. Daily Tropical Weather Outlook: A broad and elongated area of low pressure is producing disorganised showers and thunderstorms several hundred miles south and southwest of the Cabo Verde Islands and has a medium chance of developing over the next 48 hours. A tropical wave is producing disorganised showers and thunderstorms over the central and eastern Caribbean Sea and has a low chance of development within 48 hours. 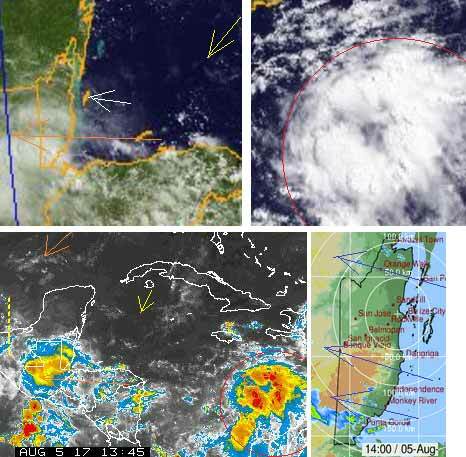 At this time, these two systems do not pose a threat to Belize. Today E 10-20 kts Choppy-Moderate 3-5 ft ISOLATED SHOWERS AND ISOLATED THUNDERSTORMS. Tonight E-NE 10-20 kts Choppy-Moderate 3-5 ft ISOLATED SHOWERS SHOWERS AND THUNDERSTORMS; FEW MORE IN THE SOUTH. Tomorrow E 5-15 kts Choppy-Moderate 3-5 ft ISOLATED SHOWERS AND ISOLATED THUNDERSTORMS. Outlook E-NE 5-15 kts Moderate 4-6 ft A FEW SHOWERS AND THUNDERSTORMS. On Ambergris Caye this morning we have a wind from the E-SE at 10 mph. It's a good looking sunny day with an expected high of 88 f. We heard a lot of distant thunder during the night but no rain. Enough rain to make a Belize City garden happy. And the gardener. sweet!!!! good to hear it!!! That ITCZ activity that came off South America last night has intensified, although not rotating, it looks as if it could. The easterly Atlantic has brought some of that cloud that went up over Porto Rico back into that mid Caribbean cloud area. 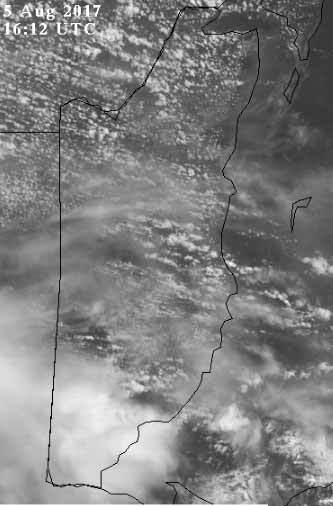 The earlier cloud off Honduras, continued to bring patches of rain over much of Belize last night and early this morning, not a lot, I recorded about 10mm ( 1/2" ) clearer skies now. But that central Caribbean cloud is a concern, and needs watching closely, perhaps wise to consider it a possible storm and start precautions. The Atlantic area off Africa has not developed, just areas of cloud. Looks like today will start of overcast, then sun and cloud later today, possibly a few small patches of rain. Still a few scattered rain showers around, mainly in the south. Heavy rains will be heading toward Nicaragua and Honduras from a strong tropical wave in the central Caribbean. Dubbed Invest 90L, the system could become a Gulf of Mexico tropical storm early next week if it doesn’t run aground over Central America. 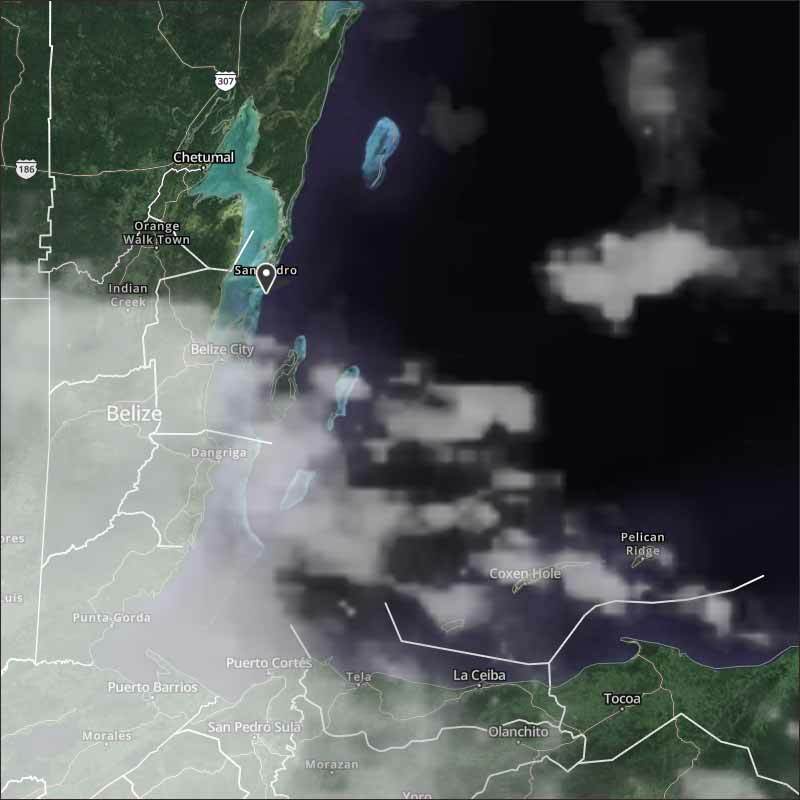 Showers and thunderstorms (convection) blossomed around Invest 90L on Friday night, and satellite imagery showed an increasing amount of spin near the center of the convection, located midway between Jamaica and Colombia. The wave may continue to slowly organize on Saturday as it moves west to west-northwest at about 10 mph. Conditions will be very favorable for 90L to develop further on Sunday into Monday in the northwest Caribbean. One of the biggest short-term questions is whether 90L will track mainly due west, which could take the wave along the Honduras coast or just inland from it on Sunday. In this case, 90L may never progress beyond tropical-wave status. However, if 90L maintains a distinct low-level center that stays well north of the coast, it could become a tropical depression or tropical storm by the time it reaches Belize and the Yucatan Peninsula of Mexico around Monday. About a third of the European model ensemble members from 0Z Saturday favor this northern trajectory and tropical-storm status. The northern scenario also leaves the door open for further development in the Bay of Campeche, a very favorable location for tropical cyclones because of its warm SSTs and concave topography. Again, roughly a third of the Euro ensemble members from Friday night call for a tropical storm in the Bay of Campeche or just to its north, approaching northeast Mexico or far southern Texas around the middle of next week. In contrast, only about a quarter of GFS ensemble members calls for development, with lower tropical-storm intensities and a track into the far southern Bay of Campeche. "imagery showed an increasing amount of spin near the center of the convection" Actually not necessarily spin, but cloud coming up from Venezuela on it south, and easterly Caribbean wind on its north. This could start rotation, but it has not as yet. "Spin" is the wrong work, should be "rotate", spin means fast rotation.